Spelling. Are you looking for gonadotrophic? 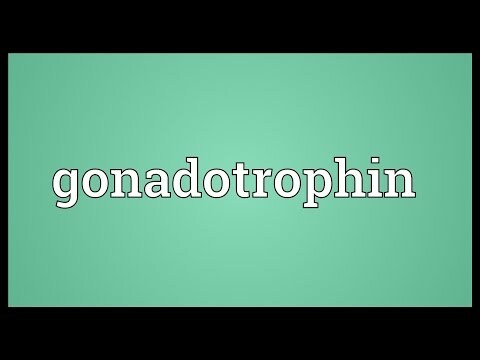 What does gonadotrophin mean as a name of something? Any of a group of protein hormones secreted by gonadotrope cells of the pituitary gland of vertebrates. The hypothalamic releasing factor responsible for secretion of the gonadotrophic hormones FSH and LH is called gonadotrophin releasing hormone (GnRH). Most tests are based on the detection of HUMAN CHORIONIC GONADOTROPHIN (HCG) in the woman's urine. They are nearly 100 per cent accurate and may show positive as early as 30 days after the first day of the last normal period. Go to the usage examples of gonadotrophin to see it in context!